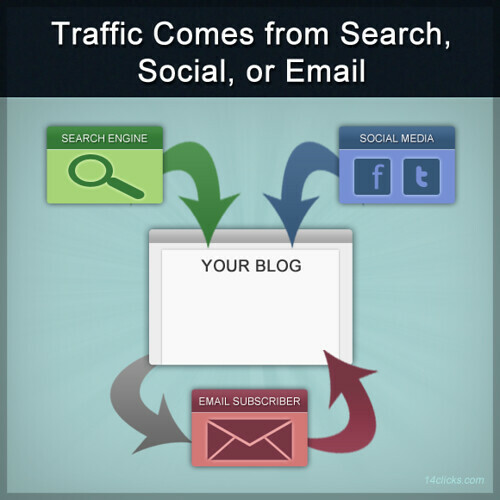 Asking visitors to subscribe to your list not only increases your blogs traffic but also its potential profitability. Each subscriber not only has the potential to become a repeat reader but also a customer. The act of collecting subscribers is therefore one of the cornerstones of successful blogging. Many bloggers go to quite some lengths to attract new subscribers but forget about the importance of keeping those that they already have. Subscriber numbers can go down just as easily as they can go up. It’s therefore important to take special care when emailing them. Here are eight important mistakes to avoid when doing so. Nobody likes receiving emails from people that they don’t know. When you email your subscribers, your first goal should therefore be to remind them who you are. The colour scheme should match that of your site. Your sites logo should be both present and prominently placed. Unless you happen to have the most interesting blog in the world, you should avoid emailing your subscribers more than once a week. When you send too many emails, you end up looking like a spammer. And few bloggers actually post enough new content to justify more than a weekly newsletter anyway. If the majority of your emails are sales pitches, don’t expect to keep your subscribers for very long. There’s nothing wrong with trying to sell to your subscribers but you need to do so with tact. This means sending out ten informational emails for every one that attempts to sell something. In an effort to attract subscribers, promises are often made. If you want to keep your subscribers, you need to keep your promises. This means that if you say that your next newsletter is going to include something, it needs to actually include it. It also means being careful about what you promise. You wouldn’t include big blocks of text in your posts so don’t include them in your newsletters. Small paragraphs, subheadings and bullet points are all just as important in newsletters as they are in blog posts. The same logic applies to your choice of font. Black text against a white background might not be very original but it’s the only logical choice. Images aren’t strictly required to produce a great newsletter but if you do use them, you need to stick to the professional variety. It always surprises me how many bloggers send out emails containing random clipart. Such images send all the wrong messages. If you want to look professional, you need to use professional images. When somebody signs up to receive a newsletter, they generally do so expecting certain information. If you advertise your newsletter as being about one topic, you therefore need to stick to that one topic. Your subscribers didn’t consent to receiving newsletters about anything else. Finally, if you want to increase subscriber open rates, you need to provide them with a newsletter that is actually beneficial to them. It doesn’t matter what else you get right if you fail to provide real value. How are your subscribers benefiting from receiving updates from you? If you cannot answer that question, chances are your subscribers can’t either. It therefore won’t be long before they unsubscribe. Chris Murphy is a well known marketing executive who works for web design Newcastle that provides the best SEO and web development services for their clients. wow! i haven’t seen an article like this since a long while. i agreed on all of your points those are fundamental mistakes people always make , unknowingly.Send too much email and send email that is not relevant is the biggest mistake i see.Thanks! It is a good point to attract your readers not merely to gain traffic rather to make a flow of knowledge. If your blog is really that much excellent people would bookmark it themselves. However, adding all these email snippets could sometimes make readers annoyed. In today’s everyone almost know how to bookmark so from my point of view its not really important to add this feature. Replying to the reader comment is however really important. I often do These Mistakes But From last Few Months am Hoing Good and These Tips are also Guiding me.So Thanks For These Tips. Agreeable all the points. According to me, we should response to every reader query and should always keep our promises so that reader can have faith in us. Thanx for all the tips! Now a days I am concentrating on Email marketing. I am following a rules that is 3 helpful mail (free software or ebook download ) then a promotional mail and that is working fine for me. Another big No-No for me is; Don’t just be sending your subscribers offer after offer with no valuable content at all. This may reduce your immediate revenue but would definitely increase lifetime value of subscribers. Steven Jude recently posted..What In The Heck Are Private Label Rights? + How Does a High Fiber Diet Help Your Health? thank you commenting on my post. I cant stress the last point enough. Offer good insightful emails will give you better engagement with your list. Work on educating your list if it applies to your industry. This positions you better in the mind of your subscribers. They will respect you more and will trust you. Allowing you to improve conversions when trying to sell. I am a very new blogger.your website helps me to know how to deal with subscriber.and how can we hope subscriber.i here after I follow listed in this thin site.sure I suggest using this site my friends. . Promises which are not kept carry no value to readers. They are just there to distract. And selling endlessly also is suicidal. You will lose your subscribers. We should be caring about our subscribers so that we can get the real benefit from our struggle and this post plays vital role in this regard. Your last point sums it up very well. You have to provide them with some value in that email. Maybe a free e-book or a discount coupon. It also helps if you can provide them with some valuable information and teach them something they want to learn. Great post Mitz! Amazing and really helpful tips stated here. Sometimes i also did some kind of mistakes while email marketing but now onwards this post helps me to correct those errors. Thank you for such a great post. Oustanding tips. The most important is probably stopping selling anything in the email. You have to send out about 5 mails with great content (= useful stuff) before you can mention a product. Thanks for this. I am glad I read it because a few of the things you mention I do.I found Email template a bit professional and also I managed to decrease or brought unsubcription to Zero. Hi i am a new blogger.your site helps me to know how to deal with subscriber.and how we can increase the subscriber.i hope here after i follow thins which are mentioned in this site.sure i suggest this site with my friends.. I really from the bottom of my hear liked your tips. And Yeah I followed them and somehow after following ’em I found Email template a bit professional and also I managed to decrease or brought unsubcription to Zero. E-mail marketing mistakes happen when people start sending continuous mails to the subscribers or the persons who one think they are their target customers.Sending them newsletters just once or twice is going to work well and one can ask their opinions regarding the services.Its the better option to have a call to action. I sometimes get non targeted people sign up to my list but they do not last long.. Moderate emailing with the contents that have magical power are always fruitful. Send them email just by keeping mind the human endurance and interest level. Thanks for this. I am in the process of creating my monthly news letter and your tips on what not to do is very helpful. I am glad I read it because a few of the things you mention I do. (Won’t say which ones… lol) but you’ve stopped me dead in my tracks. The one that sticks out most is the “Too much selling” its supposed to be a news letter but I looked at the past few months and there really is no news, just a lot of selling. I have to admit I have over 1000 subscribers and have no clue when it come to using them even for marketing purpose , maybe it because I have no real product to sell/offer. Yes email marketing and running a list is another entire subject to learn. It is very hard to keep your subscribers engaged. Perhaps you can email them a weekly summary of your blog posts which you have published over the week? You can do this, until you have found a product to sell/offer. There are plenty of ways to make use of your subscriber’s list even if you’re not selling something. Like Alicia said, share posts from your own blog, or other interesting stuff that you may have stumbled upon on the internet. Make it a point to this once-a-week or every fortnight, for instance. Ask yourself this, why did you build the list in the first place? What was your aim when you set about building your list? As always, a great post Mitz. I’m subscribed to a ton of mailing lists (get flooded with email in the morning! ), some of the emails that I always read are the ones that include more images, rather than text.